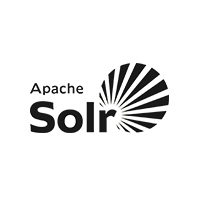 Our Apache SOLR solutions are designed and developed to solve your business needs. We strive to work in sync with your business and technology teams to carry out important tasks of requirement analysis, design, best practices recommendations, performance tuning and rollout and implementation of your search project using Solr and other technologies related to it. Our team of Apache Solr experts is power up your enterprise search with efficient and flexible features of Solr. We provide integration and customizations services specifically to e-commerce websites, content based websites and enterprise level content management systems. We also have an expertise in developing new websites that integrates Solr content architecture. Our turnkey solutions ensure optimized and relevant search performance. Apache Solr is a powerful search technology for websites rich with features facilitating distributed searching and multi-indexing that reduces the overall search time. Its capability to easily integrate with e-commerce platforms like Magento, OpenCart, WooCommerce, and CMS’s like Drupal, WordPress and others makes it highly flexible and versatile as an enterprise level search platform. With a high proficiency in developing and consulting Solr, we thoroughly analyze our client’s business requirements about enterprise search and suggest them the best solution fit for their business. Our team of web developers with their skills, knowledge, and experience develop custom solutions integrated with Solr as per the specific requirements of our clientele. We take our client’s requirements as a great opportunity to provide them a truly world class solution. Exhibiting our dynamic approach to cater to their needs, we provide impeccable Apache Solr solutions along with a comprehensive support. So, avail this opportunity and hire our experts today! To provide the best in class Apache Solr solutions, we are all set to serve you with our sheer diligence. Grab this opportunity to acquire the best technology solution with collaborative customer engagement.